Buy Loganberry Bush Thornfree online from UK supplier of soft fruits. Loganberries are used for a wide variety of culinary purposes. 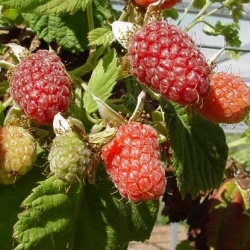 This is a thornless form of loganberry with attractive, large long oblong dark red fruit.